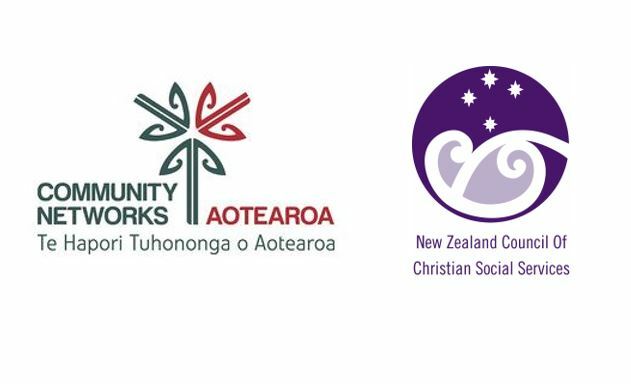 At the November NZCCSS national Council meeting the members’ Denominational Representatives approved a Briefing to Incoming Ministers (BIM) from NZCCSS. 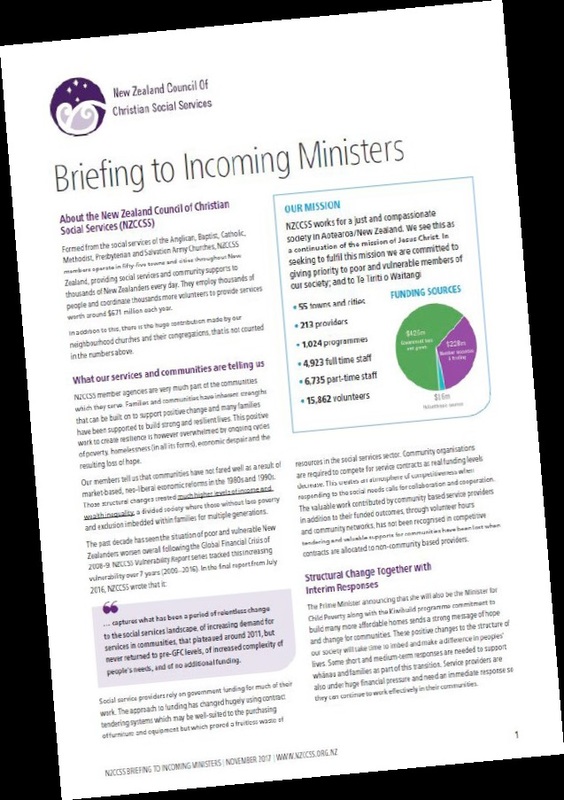 The need for this BIM to BE short, well laid out and easy to read was considered extremely important as the new government’s Ministers will have many Briefings to read. 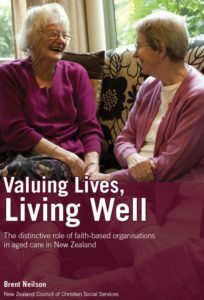 Anything too long is unlikely to be read, yet, the NZCCSS briefing must still cover its three key policy areas of Services for Older People, Impacts of Poverty and Exclusion and Child and Family. Service providers are under huge financial stress and an immediate response of increased financial support is required so they can continue to meet the needs in communities. Poverty is caused by insufficient income and systems that’s support people to have enough income are needed. This will require wages and working conditions to be built up to ensure people have security of work and sufficient income for their labour – the Living wage is a making a difference for many. Systems to ensure people in transitional homes have quick access to enhanced income related rents so they can quickly move from transitional to permanent housing, with supports. We need a Child, Family and Whanau Impact assessment across all legislation. This assessment would require governments to consider the impact of emerging law of children, families and whanau. 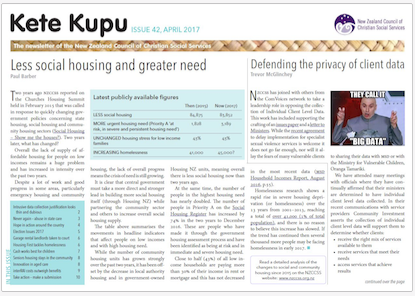 Government must work more closely with community social services and engage pro-actively with community organisations to develop systems and process which achieve string and thriving communities, whanau and families. The full NZCCSS BIM is available on our Research and Submissions page.